Healthcare organizations recognize that telehealth is a key initiative to transform how, where, and when care is delivered. According to a recent study from the Center for Connected Medicine, roughly 7 in 10 C-suite healthcare executives indicated that their health systems were supportive of telehealth. As one executive pointed out, “Health systems understand virtual care as it is the way of the future and a necessary component of delivering care. The key phrase for the future of healthcare and telehealth is “virtual care.” Technology that helps organizations deliver virtual care – whether via virtual consults, visits, or meetings – can be set up to improve access to care and strengthen the impact of care while reducing the costs of providing care. Being able to leverage mobile devices – whether smartphones or tablets – is integral to the deployment and usage of virtual care by healthcare organizations, providers, and the patients themselves. Convenience: Virtual care technology enables patients to access healthcare on demand. Regardless of the distance from a provider or care facility, patients can participate in virtual visits to receive post-hospital care without missing work and/or school for travel to and from appointments. With technology, patients can receive care on their terms and access providers whenever and wherever is most convenient. Collaboration: Virtual care platforms enable medical staff to access diagnoses and decisions from offsite specialists on demand. In time-sensitive situations, medical staff can save seconds, minutes, and hours by using technology to reach specialists and obtain critical virtual consults. This minimizes time typically spent trying to find a specialist and then waiting for a specialist to arrive for an in-person consult. Patients’ length of stay in the ED can be reduced when consults are more readily available via video. Coordination: A care team (which may include the patient’s primary care physician, a specialist, a pharmacist, and perhaps an SNF staff member) can use a virtual care platform to review patient progress in real time and align on how and when to address emerging patient issues. During the transition of care, a care team member can coordinate a multi-participant virtual meeting. In the meeting, the care team can discuss the patient’s evolving situation and set expectations for the continuum of care. As needed, the patient (and his/her caregiver) can also be integrated into the video call and the PCP can confirm treatment compliance and care satisfaction. Convenient, virtual meetings can help a provider ensure that the various members of the care team are involved and engaged in the post-discharge follow-up, regardless of the distance between offices and facilities. Compassion: Providers can use technology to bring compassionate care to a patient’s location of choice— typically at home. Patients may feel an added sense of comfort discussing their condition over a video screen vs. face-to-face, while providers may be able to inquire about additional visual details which may not naturally emerge during an in-person office appointment or over the phone. Patient education about their condition, expectations during recovery, and treatment plans can continue to be reinforced during the provider-to-patient virtual check-ins and visits. Consumer-centric healthcare organizations recognize that virtual care technology and communication platforms will enhance their medical staff’s ability to educate, engage, and empower patients in their post-hospital care. In the years ahead, healthcare leaders will continue to expand the use of technology in order to extend the reach and resonance of their vision. Virtual care can increase the overall timing, quality, and comprehensiveness of healthcare delivered, leading to improved patient satisfaction and health outcomes. Lee Horner is the CEO of Synzi. Lee is responsible for corporate strategy and development at Synzi, with an emphasis on revenue growth, product direction and customer satisfaction. Recognized as an innovator in technology and healthcare, Lee is focused on using technology to advance the timing and quality of care delivery. His career in includes over 25 years of enterprise operating experience, with a proven track record in creating and operating successful organizations that develop new technologies designed to transform the healthcare IT industry. 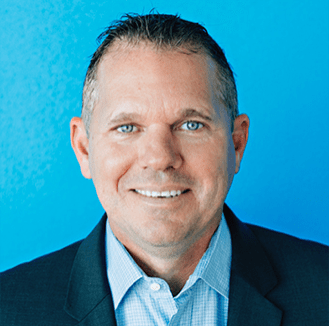 Prior to launching Synzi, Lee was the President of Stratus Video Telehealth and successfully launched several innovative telehealth solutions into the marketplace. His leadership experience also includes his serving as President of CareCloud software, a leader in the EHR marketplace, and Senior Vice President of Sage Healthcare. Under his leadership at Sage, Lee led the organization to triple digit growth and the sale of the company to Vista Private Equity. A Sarasota native, Lee is an avid boater, fisherman and golfer. He enjoys spending time on the water and attending Tampa Bay Lightning games. I like that you pointed out that this can help the patients ensure that they will be up to date with their condition even if they don’t go to the facility. I will share this information with my sister to have this kind of technology for the medical clinic that she will have in the future. It is her goal to have on in our neighborhood once she finishes studying and passes the board exam. This will get her loyal clients in the future.